Bioplastics: Are They the Solution? Bioplastics are simply plastics derived from renewable biomass sources, like plants and microorganisms, whereas conventional plastics are synthesized from non-renewable fossil fuels, either petroleum or natural gas. It’s a common misconception, however, that a bioplastic necessarily breaks down better in the environment than conventional plastics. Bioplastics are nevertheless marketed as being better for the environment, but how do they really compare? 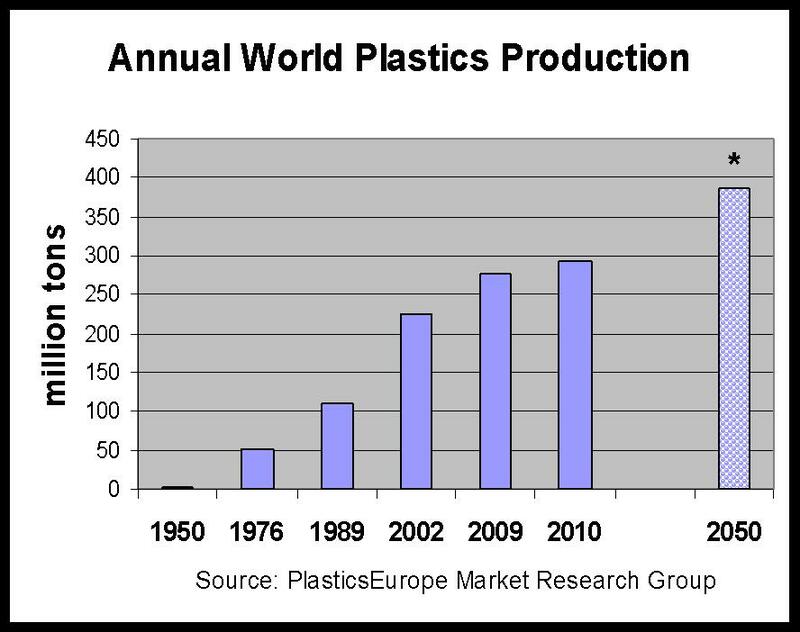 The push to develop bioplastics emerges from alarming realities starting with the staggering quantity of plastics being produced, over 20 pounds a month for every U.S. resident, according to the latest numbers from the American Chemistry Council. 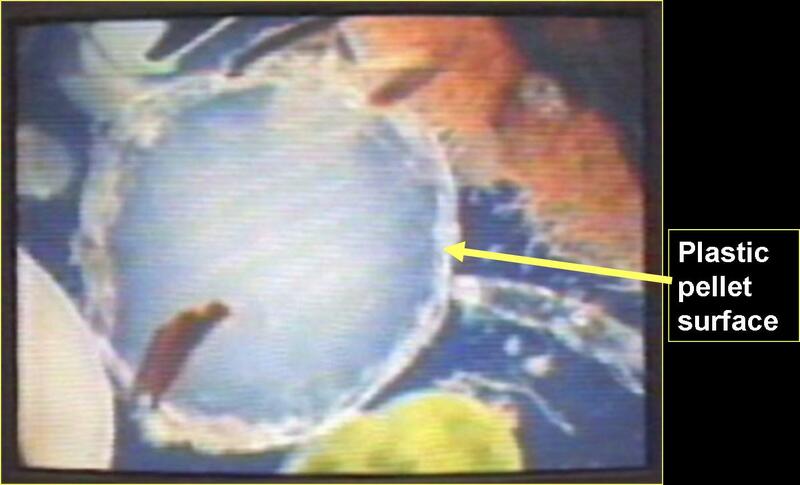 Conventional plastics do not biodegrade (defined below) within any meaningful human timescale – they just break apart into smaller plastic fragments. Also, the overall recycling rates for plastics remain fairly low, eight percent in the United States and 24 percent in the European Union in 2010 for example, in large part because plastic products contain unique proprietary blends of additives which prevent recycling of mixed batches of products back into the original products. So, unlike glass and aluminum which can be recycled in a closed loop, most plastics recycling is considered “down-cycling” into lower quality, hybrid-plastic end-products, like lumber or clothing, which aren’t recycled again. This means that, except for the fraction of plastic that is combusted for energy production, all plastics eventually end up as trash, either in landfills or as litter. Petroleum and natural gas are actually organic substances, but why plastics synthesized from them do not biodegrade is straightforward. The exceptionally strong carbon-carbon bonds created to form the backbone of plastic polymers do not occur naturally in nature so are foreign to microorganisms which readily eat up other organic materials. Molecules of conventional plastic are also gigantic, making them extra difficult to digest. Each is composed of literally thousands of repeating units called “monomers” so that the weight of a finished polymer molecule is typically over 10,000 (for comparison, the weight of a single water molecule is 18). The simplest is polyethylene (grocery bags, ketchup & shampoo bottles, e.g.) which is just an enormous string of carbon atoms with attached hydrogen atoms. In the ‘Great Pacific Garbage Patch’ between California and Japan, an ocean area twice the size of Texas, the ratio of the weight of plastic debris to zooplankton has risen to 36:1, a six-fold increase in a single decade. The non-profit Algalita Marine Research Institute in California has been measuring how plastics are amassing in this region of the Pacific since the late 1990s. Plastic debris is increasing in even the most remote of ocean areas, like the Arctic seafloor. Buildup of plastics in the marine environment is particularly worrisome. Creatures as varied as sandworms, barnacles, krill, jellyfish, birds, turtles and whales are known to ingest plastic debris, which can block digestive tracts, while many forms of sea life die instead from entanglement. Furthermore, ingested plastics are a vehicle for transfer of toxins in seawater into the food web because we know from Japanese researchers that the oily nature of plastics allows them to concentrate oily toxins (like polychlorinated biphenyls, nonylphenols and derivatives of DDT) from seawater onto their surfaces. Food web contamination from potentially risky chemicals added to plastics during their manufacture (like bisphenol-A, phthalates and nonylphenols) is a parallel concern. To understand if bioplastics are less of a hazard to the marine and other environments, it’s first helpful to clear up the meanings of often misconstrued terms describing the breakdown of plastics. Standards for measuring how plastics break down in particular environments have emerged only recently so are still in development. Comparisons among plastics are further complicated by the fact that no one entity is universally recognized as setting those standards. Nevertheless, international standards have been established by two bodies, ASTM International (formerly American Society for Testing and Materials) and the Switzerland-based International Organization for Standardization (ISO). Despite the confusion this fragmentation generates, there is consensus on the distinctions between the key terms: degradable, biodegradable and compostable. Degradable simply means that chemical changes takes place, maybe from sunlight or heat, that alter a plastic’s structure and properties, like clouding or fragmenting. Biodegradable more narrowly denotes that the degradation results from naturally-occurring microorganisms (bacteria, fungi or algae) but makes no guarantee that the degradation products are non-toxic or make good compost. Compostable goes a step further: ASTM’s definition, for example, specifies that the microorganisms’ breakdown products must yield “CO2, water, inorganic compounds, and biomass at a rate consistent with other known compostable materials and leave no visible, distinguishable or toxic residue,” such as heavy metals. Plastics can potentially be designed to meet any standard(s) set by ASTM or ISO for breakdown in either aerobic environments, like water or soil, or in anaerobic ones (lacking oxygen), like enclosed wastewater treatment systems. The sealed-off environments within landfills, however, are not amenable to biodegradation of any materials, so there has been little push to develop analogous standards for conventional landfills. Plastics manufacturers submit finished products to independent testing organizations which certify whether they meet standards for biodegradable or compostable in given environments. The Biodegradable Products Institute (BPI) in New York offers a single certification, guaranteeing compostability (as defined by ASTM) in an industrial composter where conditions like temperature and humidity are tightly controlled. However, the significance of this certification within the United States is undermined by the reality that there are very few industrial composting facilities nationwide. In Europe, where development of an infrastructure for composting is further along, the organization Vinçotte offers not only certification for industrial compostable but also for home compostable, biodegradable in agricultural soil, and biodegradable in fresh water. The sole standard for biodegradation of plastics in the marine environment basically requires that, within six months, the plastic must be disintegrated into bits smaller than two millimeters and that biodegradation must have progressed so that at least 30 percent of the carbon has been converted by microorganisms into carbon dioxide (ASTM D7081). Neither BPI nor Vinçotte yet offer certification for this, so any company making this claim would be basing it on their own testing. The following compares the certifications and other environmental merits of some contemporary bioplastics grouped according to the source material (i.e. feedstock). Although starch and cellulose are actually biopolymers found in the natural world which can be converted into plastics (like packing peanuts which dissolve in water), the following discussion is limited to biopolymers synthesized by microorganisms in industrial settings because they represent the frontier of bioplastics and can be processed on the same equipment as conventional plastics. Be mindful that you can’t rely on the internationally-recognized numbered chasing arrows system to identify bioplastics. Nearly all bioplastics fall under the “#7 OTHER” label which is a catchall for plastics not made of the conventional resin types, labeled #1 – #6. Just one company worldwide claims to make bioplastics that meet ASTM’s marine biodegradable standard, Metabolix based in Massachusetts. Polyhydroxyalkanoates (PHAs) are biodegradable monomers, naturally made by bacteria during fermentation of sugar, which can be combined to make high molecular weight polymers suitable for plastics. 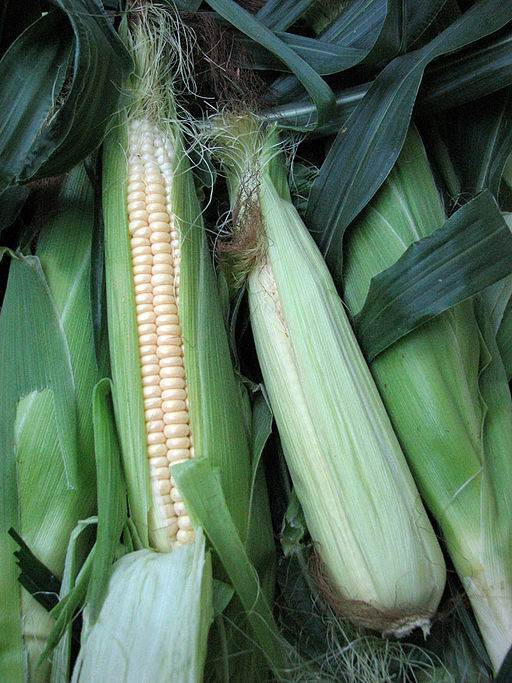 Metabolix is using bacteria genetically altered to produce high yields of PHAs from the sugar in corn kernels. The resulting biopolymer, Mirel™, is pure PHAs except for proprietary additives mixed in to impart desired properties. According to company spokesperson Lynne Brum, the additives do not include bisphenol-A, phthalates or nonylphenols which have been linked to health problems in lab animals or humans. Various Mirel™ resins are available for fashioning into many typically disposable items, such as eating utensils, food storage tubs, jars and lids. All are certified for industrial composting, and some are also certified for home composting and/or biodegradation in agricultural soil or fresh water. However, only the thinnest film grades of Mirel™, appropriate for making carryout bags, yard waste/kitchen compost bags and agricultural film, supposedly meet marine biodegradable standards because greater material thickness would impede biodegradation. As is true of conventional plastics and organic materials in general, Mirel™ will not biodegrade in landfills. Brum stated that although closed-loop recycling of Mirel™ is certainly possible, the company’s focus thus far has been on biodegradation as an end-of-life option. Polylactic acid (PLA) is a different biopolymer derived from corn through fermentation by bacteria that naturally produce lactic acid which is then tweaked to form polymers. The primary U.S. manufacturer, NatureWorks LLC, advertises that its PLA resin family, Ingeo, relies on no genetically-modified materials and uses 50 percent less energy and produces 60 percent fewer greenhouse gases than petroleum-based polymers. The range of possible applications is very wide, including clothing, durable goods like mobile phone casings, credit cards, drink bottles and all sorts of food packaging & food service items. Although Ingeo does not biodegrade in any water or soil environments, it has received certifications for industrial composting. NatureWorks points out that used Ingeo is being recycled in a closed loop into new Ingeo, but recycling on a large scale is not yet feasible because Ingeo products lack a unique identification code and they have to be shipped to the sole recycler in Nebraska. An Italian company, Novamont, is manufacturing a family of biodegradable resins under the label MATER-BI®which do not necessarily qualify fully as bioplastics because unspecified “monomers” derived from “fossil fuels” can be used in the proprietary blends of ingredients which include cornstarch plus other renewables, like vegetable oils. Nevertheless, MATER-BI® resins are certified for industrial composting, and the company claims the feedstocks do not rely on genetically modified crops or deforestation. MATER-BI® can be made into a myriad of products including doggie poop bags, mulching film, shopping bags, bubble wrap, pens and rulers. Polyethylene (PE), the most ubiquitous plastic, is made by polymerizing ethylene synthesized from ethanol derived conventionally from petroleum, though synthesis of ethanol from plant sources is also possible. In Brazil, where sugarcane grows abundantly, a company named Braskem is manufacturing ethylene instead from ethanol made from fermented sugarcane. Braskem touts that its ‘Green Ethylene’ is 100 percent renewable source-based and the resulting ‘Green PE’ resins are at least 84 percent renewable content. Because Green PE is identical to that produced from petroleum, it can be made into the very same products and recycled together with conventional PE. However, this also means it is no more biodegradable than conventional PE in any environment and poses the same risks to the ocean food web. 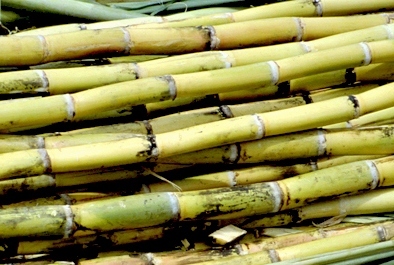 Nevertheless, Braskem asserts that Green PE merits its green label on other grounds, like the fact that growing sugarcane draws carbon dioxide out of the atmosphere. For every kilogram of Green PE produced, 2.5 kilograms of carbon dioxide are supposedly sequestered in the resin. Also, 50 percent more ethanol can be fermented from sugarcane than from corn. 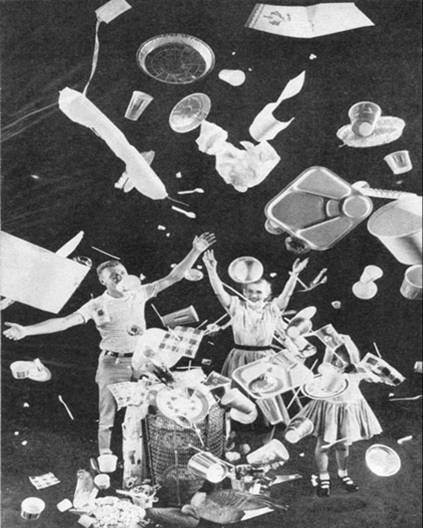 Single-use, disposable plastics were a direct outgrowth of industries developed during WWII and quickly became symbolic of the convenience of modern day living. The supply of fossil fuels felt endless at the time, and the fact that plastics could be made into just about anything and were so long-lasting seemed a good thing. Nowadays, the prospect of mass conversion from conventional plastics to ones made from renewable sources is raising concerns typically stemming from the fact that arable land would be diverted to growing feedstock for bioplastics: deforestation, monocultures, fresh water supplies, soil erosion, food supplies and food prices. Bioplastics manufacturers like to point to the fact that the fraction of global food crops or farm acreage currently used to make bioplastics is miniscule, sidestepping the obvious question of what the realistic impacts would be if bioplastics ever replace conventional ones on a large scale. Consider that ethanol gas, for example, is already in competition with the food supply for available corn. A research institute in Rotorua, New Zealand called Scion is experimenting with an alternative renewable feedstock, sewage sludge. The idea is that, by cooking sewage sludge, reusable substances can be recovered and converted into bioplastics as well as fertilizers and biofuels. However, the first pilot plant began operations just a year ago, so it will be a long while before the feasibility of making any plastics from sewage is known. Even if the feedstock issues can be resolved, what to do with plastics at the end of their useful life looms as the more daunting problem. Global figures from 2011 say that the world is already consuming over 450 billion pounds of plastic products a year (99 percent from fossil fuels), and plastic industry experts expect demand to rise exponentially within the next five years. Even without any change in average per capita consumption (~65 pounds/year), humanity and the planet would be burdened with well over 700 billion pounds of additional plastics each year by mid-century when the world’s population is expected to top nine billion. Bioplastics designed to biodegrade in industrial composters are no doubt an important step in reducing the burden placed on landfills, although widespread municipal composting in less developed countries is, at best, a pipedream at this point. Furthermore, making plastics compostable does nothing to prevent the continuing buildup of plastics in the marine environment. Ocean plastics derive primarily from land-based sources, like street litter carried via storm drains which empty into rivers flowing into the sea. While the development of marine biodegradable plastics should be encouraged, it is wishful thinking to assume they will ultimately be the solution. Marine biodegradable plastics do not just dissolve in seawater. ASTM’s marine biodegradable standard allows that decomposing plastics can linger in seawater for many months, ample time to endanger sea life by ingestion or entanglement. Furthermore, we know nothing yet about how bioplastics compare to conventional ones as vehicles for transferring oily toxins in seawater into the food chain. It’s even conceivable that wide availability of marine biodegradable plastics would add to the volume of ocean plastics because labeling as marine biodegradable might encourage dumping at sea, even though any ocean dumping of plastics has been illegal since 1988 by international treaty (MARPOL Annex V). Halting the flow of all types of plastics into the ocean is the most rational solution to the crisis of plastic ocean debris. On a local level, this simply entails placing secure lids on trash receptacles and well-designed grates across all storm drains and river mouths that outflow to the sea. On a societal level, however, this means a deliberate shift away from the throwaway culture that led to the exponential rise in the production of plastics in the first place. After more than a half century of profligate consumption of plastics, we are face-to-face with the reality that there is nothing convenient about getting rid of it all and preventing it from trashing our oceans and contaminating the marine food web. This entry was posted on Monday, October 8th, 2012 at 3:11 pm and is filed under California, plastics, pollution, science, sustainable living, toxics, waste, wildlife. You can follow any responses to this entry through the RSS 2.0 feed. You can leave a response, or trackback from your own site. 3 Responses to Bioplastics: Are They the Solution? Oh, darn. Although I sensed that bioplastics were likely too good to be true, I nonetheless fell for bioplastic marketing hype. Before finally making our annual Christmas Boat Parade parties as nearly zero-waste as possible –and washing endless dishes and flatware– I fell for the promise of bioplastics and bought bioplastic cups, spoons, forks, etc. in the hopes that I could move away from the sink and still come off as a smugly “green”hostess with single-use bioplastics. Thank you for confirming that my begrudging decision to again deal with china and glass — though more labor intensive — was the right decision. so we use biomass to make fuel, and biomass to make plastics. When do we get around to eating?